Lumineers - the Safe, Painless Porcelain Veneer. Are you a candidate for veneers? Yes. LUMINEERS BY CERINATE are the biggest breakthrough ever in achieving the smile that you've always wished for. 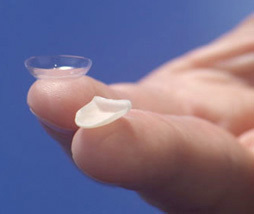 These contact lens-thin "smile shapers" are so thin, yet so strong, that there is no need for the removal of any sensitive tooth structure, no shots, no drilling, and therefore, NO PAIN. No matter what your problem is, LUMINEERS are the perfect solution to your smile issues!